Older brothers have a knack for setting precedents for their younger siblings. Stephen Marley already had an exceptional challenge ahead of him, taking on the task of producing a restatement of Bob Marley and the Wailers’ Kaya for the album’s 40th anniversary. Add to that the fact that Stephen’s elder brother, Ziggy, had done the same a year ago with father Bob’s masterwork, Exodus, to great critical success. Nothing like setting the bar really high. Yet, Stephen tackles the ten-song set- a bookend piece to Exodus recorded concurrently during that album’s sessions in 1977, and in 1978, in London- and emerges with another triumphant revisit to a classic. Noticeable from the start, Stephen keeps the running order of the tracks the same as the original, (Ziggy mixed-up his Exodus version), allowing for the songs to essentially feel as though a compare/contrast listening experience; an A/B of approaches, as it were. The first palpable difference is in Stephen’s treatment of Bob’s vocal takes. Kaya, in its original form, is a standout in Bob’s catalog with regard to his vocal characterizations. Perhaps no other album contains as many different shapes and shifts of his trademark voice, both in tonality and in melodic phrasing. So, when Stephen introduces alternate drafts of the vocals, and dresses them in the warmth of echo chambers and reverbs, the spirit of Kaya shapes and shifts accordingly. The title track and following Is This Love are instantly dreamier, with the latter featuring the multitudes of newcomer Junior Marvin’s guitar work. Bob is omnipresent, though, with an abundance of ad-libs, embellishments, and emotive expressions finding their way in and out of the lyrics. There are some new beginnings and endings to the songs, as well: the staccato double-hit intro on She's Gone, clipped from the original, and the new vocals that disintegrate as the song exits, are the prime example. As a result, Crisis leaves with more of an impression as a mantra, giving Jah thanks and praises. While on Running Away Bob grows darker, more ethereal, sharing his mellow just above a whisper against percussive keyboards and hand drums. On the closing Time Will Tell, the hypnotic beat and message of the yin/yang reality between heaven and hell eventually resolves, rather it dissolves naturally as voice and instruments one-by-one peel away. 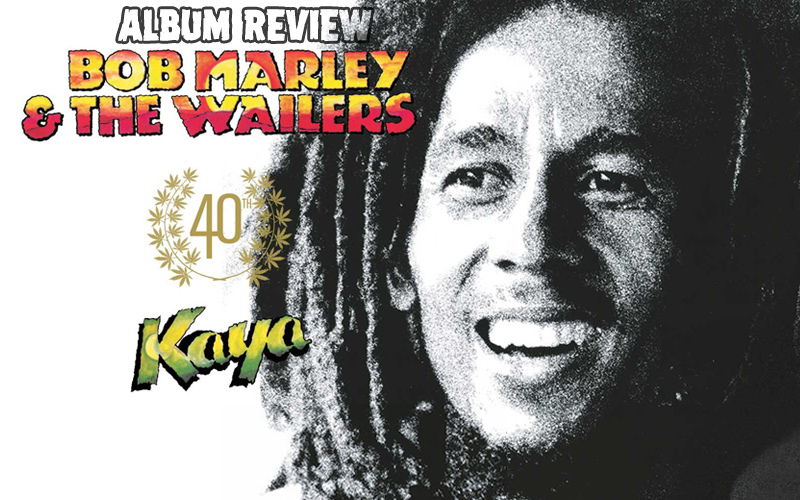 As Kaya served as Bob’s "love album", in effect, it is Stephen’s love and care for his father’s voice and for those of the I-Threes, as well as his obvious admiration for the magnificent musical accomplishments of The Wailers band that propel this restatement. It is another unqualified success from the family in finding a new way to honor and envision the work of their beloved patriarch. Too, it is another way to engage the listener in an active and rewarding experience that, in the wrong hands, could feel like exploiting Marley’s name and achievements. Instead Kaya 40 is a careful, conscious, and conscientiously worthy companion to its origin.